This is the highly anticipated LG G5 smartphone, unveiled at Mobile World Congress 2016 along with Friends (a set of plug-in accessories). The G5 is something new that we have never seen on its predecessor - a reinvent premium flagship smartphone. 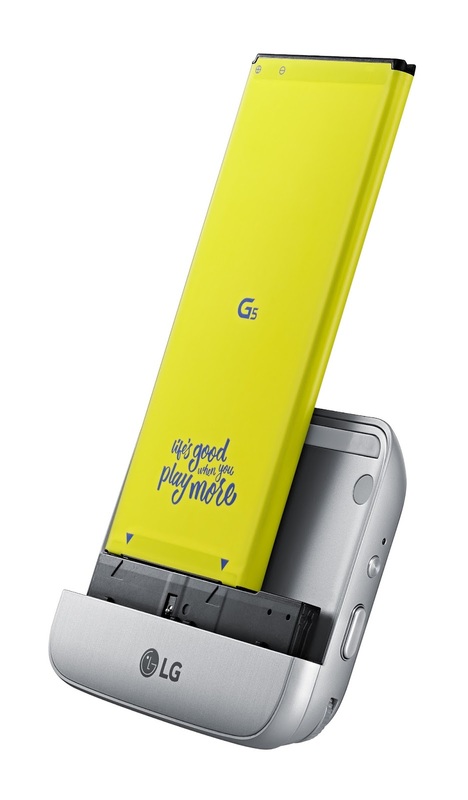 The LG G5 adopt a completely new design, sporting an all-metal body and Slide-out Battery to easily swap out a depleted battery for a new one. Interestingly, the G5 comes with a smaller 5.3-inch QHD (2560 x 1440) IPS Quantum display (the G4 has a 5.5-inch screen). The modular type design allow users to remove the battery from the phone and slide-in accessories to extend the G5's capabilities. For instance, the LG CAM Plus (pictured above) provided a better grip and physical camera buttons for shutter, record and zoom as well as an addition 1,200 mAh battery to prolong the phone's battery life. In addition, the G5 will features an Always-on Display. It will constantly showing the date and time plus notifications even when the screen's off. According to LG, this always-on feature only consumes 0.8 percent of battery per hour; thanks to the redesigned display driver IC and power management that allows the screen to light up only a small area of the G5's display. Camera wise, the G5 has a dual rear cameras. One is a 16 MP sensor with 78-degree lens while another is an 8 MP sensor with 135-degree wide-angle lens. 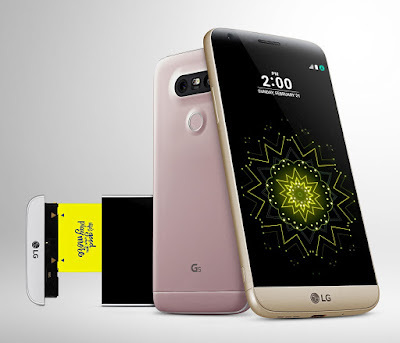 Moreover, the LG G5 will ships with Android 6.0 Marshmallow and is powered by Qualcomm Snapdragon 820 processor paired with 4 GB of RAM and 32 GB of internal storage. To sum up the specifications, the device comes with a fingerprint reader power button, an 8 MP selfie camera, a microSD card slot, USB Type-C and a 2,800 mAh battery that support Qualcomm Quick Charge 3.0. The LG G5 will be available in Silver, Gold, Titan and Pink. 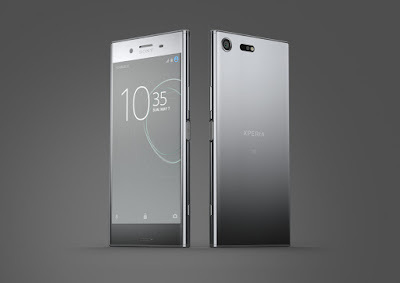 The handset will be released globally starting from April.